Typeeto is an invaluable little app that makes it a little easier attempting to enter text into the search box on an Apple TV. Text entry is sometimes a frustrating process using the Siri Remote, and while there are alternative ways to make this a little easier, such as using an iPhone, iPad or Bluetooth keyboard, now you can also use your Mac keyboard, thanks to the useful Typeeto utility. Typeeto is a Mac utility developed by Eltima Software, and lets you use your Mac’s keyboard to type text to an iPhone, iPad, Apple TV or Android device. It was originally launched in 2014 and attracted positive interest from the beginning. You can find Typeeto at the App Store. While it may seem less useful if you are already using a wireless keyboard with Apple TV, it is certainly useful if you want to use your MacBook to enter text, or may, in the future, need to in an emergency. It is also useful if you don't want to have to dedicate two keyboards to the task, one for your Mac, another for Apple TV. What’s Typeeto Like to Use? When used with an Apple TV Typeeto lets you search for files by typing the name in the search field, supports media key controls and even lets you copy and paste text from the Mac, which comes in very handy when you want to make a complex search. You can also use Typeeto with other devices. That makes it useful when you need to type lengthy amounts of text into your iPhone, Android or iPad. It may make it a little easier to use one of your mobile devices as an extension of your Mac desktop. You can choose between light and dark themes. It is important to know that the app does not map to the virtual Touch Bar buttons on the latest MacBook Pro models, which means you can't use those shortcuts when you type from a Mac to a device. To use with an Apple TV, you should be able to connect with your Mac directly in Apple TV Bluetooth Settings once the utility is installed. A small window with the name of Apple TV and a dialog urging you to start typing should appear. To use with another device, on your Mac, you should tap the Pair button next to the iOS device’s name. Once you confirm both codes are the same the app will be ready to use. You will see a little floating window with the name of the device you wish to type to and a dialog urging you to start typing. To make it a little easier to use Typeeto with multiple devices (your Apple TV and iPhone, for example) you can assign a keyboard shortcut for each of those devices, enabling you to easily toggle between them when you type. Once you have installed Typeeto on your Mac you can set it to launch automatically as a Startup Items app in System Preferences, otherwise, you must launch it manually when you need to use it. 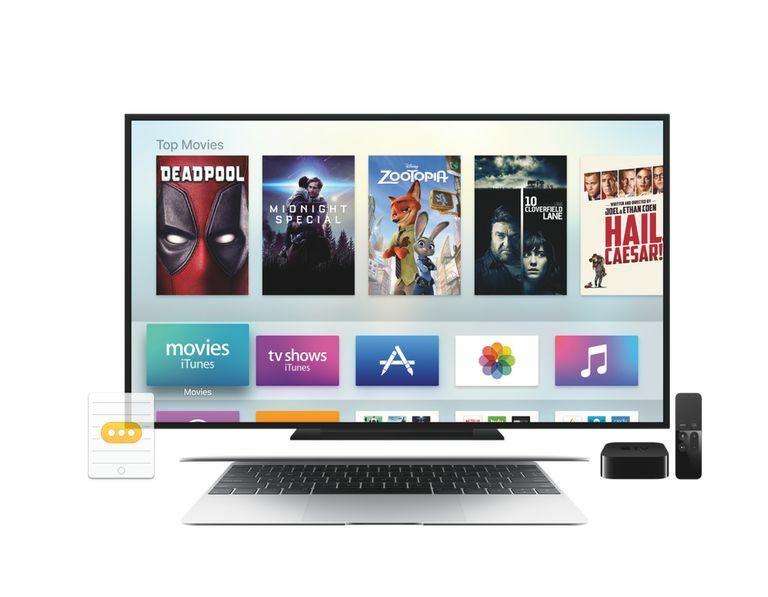 When it comes to the Apple TV the app seems to provide a feature that should already be possible – it does seem strange one cannot use a Mac to type to Apple TV without it. While the higher price of the app makes it more of an expensive luxury item, it is easy to install, easy to use, which means it's a useful addition to any Apple TV owner's toolkit. The app is compatible with OS X 10.9.5 or later.